Astonishing New Proof of the Exodus! Three End Time Superpowers: Daniel 11:40-45! Christians believe that they are people with a “New Covenant”. And for all practical purposes they consider what they call the “Old Testament”, the first 3/4 of the Bible to be OBSOLETE. Judaism rejects what is commonly called the “New Testament”, the last 1/4 of the Bible OUTRIGHT. This site upholds the continuity and relevance of all four quarters of the Bible! The Bible essentially begins with a man named Israel and his 12 sons, and ends with his sons 12 names inscribed on the 12 gateways to the heavenly New Jerusalem (Revelation 21:12). Don’t take a scissors to the roadmap to eternal life. I challenge you to consider every Biblical reference to the New Covenant starting here, because it’s been greatly misrepresented! Please consider the original John 3:16. Don’t be hesitant, come on in! What is The Testimony of Yeshua (Jesus)? When John finished writing the last book of the Bible, did he call it the New Testament? 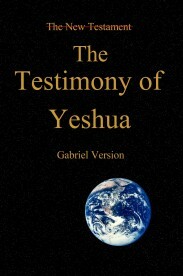 I refer to the Messianic Texts as “The Testimony of Yeshua” because the envoy (apostle) John called it that six times! He used “the Testimony of Yeshua Messiah” twice to describe the collective words of Yeshua in Revelation 1:2 & 9, where he differentiated it from the Word of Elohim (Aloha in Aramaic). Thereafter he simply called it the Testimony of Yeshua (four times). He was the last surviving envoy, and overwhelming evidence indicates that he finished “canonizing” “the Testimony of Yeshua”, rather than the Catholic Church. See Ernest Martin’s Restoring the original Bible. Prior to Tertullian’s new terminology, there was no concept of the Tanak (Hebrew Scriptures) being obsolete or “Old”, and Yeshua’s Testimony was never considered any sort of a replacement. And there certainly were no anti Semitic overtones. Yeshua’s followers were considered a sect of the Jews! The Testimony of Yeshua was prophesied to be written even tho the Disciples themselves didn’t realize it until decades after Yeshua had died. (Isaiah 8:15-16, 20) ...Continued HERE. Was the “New Testament” Really Written in Greek? The easiest point to consider when questioning whether the so called “New Testament” was written in Aramaic or Greek is to consider the man who was by far the most notable historian of the era—the Jewish priest Flavius Josephus (born AD 37/38, Jerusalem—died AD 100). He was recruited by the Romans as the best translator available in the region, and even he did not know Greek. He said that the Jews would rather have had their children eat swine than to speak Greek! His massive complete works were originally written in Aramaic. It was only when the Romans began destroying every document written Aramaic that he traveled to Rome to learn Greek! Not one Aramaic copy survived. So would Yeshua’s (Jesus’) followers, already “credibility challenged” have written their accounts about Him to the then exclusively Jewish audience in the detested language of their captors? Other than Paul, did they even know Greek? When I first began studying the Aramaic to English translations and comparing them with Greek lexicons, I thought that there would be many startling differences compared to the Greek texts, and major new insights, and there are indeed some fascinating differences. But the most surprising thing I found was the number of nuances lost by English translators going from the Greek texts to the English translations! While The Testimony of Yeshua, part of the Gabriel Bible, is based on both Murdock’s and Etheridge’s Peshitta, I compared every verse with The Online Bible Greek Lexicon (and made 2,500 live links to The New Testament Greek Lexicon, because there are no comparably thoro Aramaic lexicons, just one word equivalents, and none yet without copyright restrictions, so far as I know. The online Greek lexicons are incredibly powerful tools. They use the universally accepted Strong’s numbers to locate definitions of “Biblical Greek” and Hebrew words, but they are far more “exhaustive” than the original 19th century Strong’s Exhaustive Concordance, now online, that I used for decades. This accounts for most of the live links in The Gabriel Bible text. These key words make a trail that is very easy to follow, to see why the nuances differ so much when you follow along in another version. Using these Strong’s numbers is somewhat like coloring by the numbers—it really doesn’t take a linguist to paint a word picture. Read The Testimony of Yeshua free online, or buy it in paperback or buy it in hardcover: , or get a free pdf download. Lulu periodically offers DISCOUNTS on every book they publish: Check here (Amazon costs much more). You can also buy a slightly older version for your Kindle. 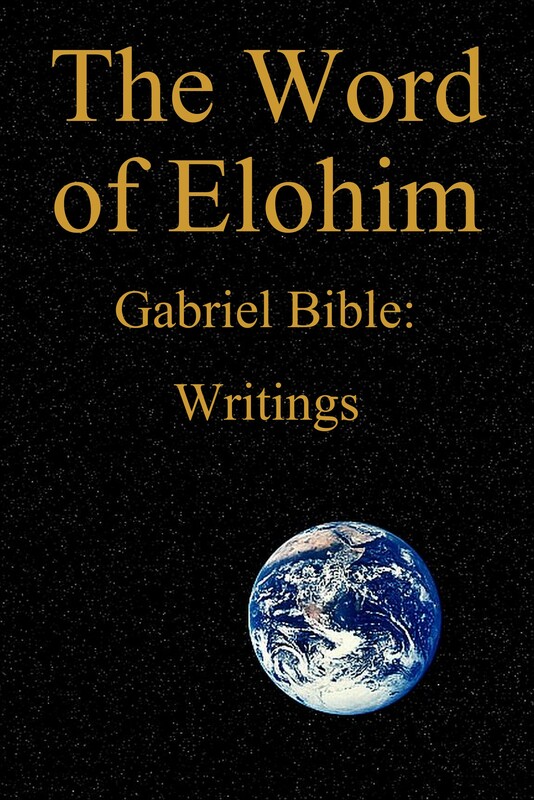 The Word of Elohim, Gabriel Bible (See the INTRODUCTION) is a Modern English copyright free version of the Tanak (“OT”) for people who don’t want to put up with the severe legal restrictions when publishing Biblical Texts from copyright restricted translations. It’s a fairly finished prototype that’s updated daily. All my books are priced as low as Lulu allows. The following titles are briefly described below in more detail. Chapter 2: Did Yeshua’s Supper (‘the Lord’s Supper’) Replace the Passover? Chapter 4: Pentecost (Shavuot) in Prophecy! Chapter 5: Festivals and Feasts—There is a Difference! 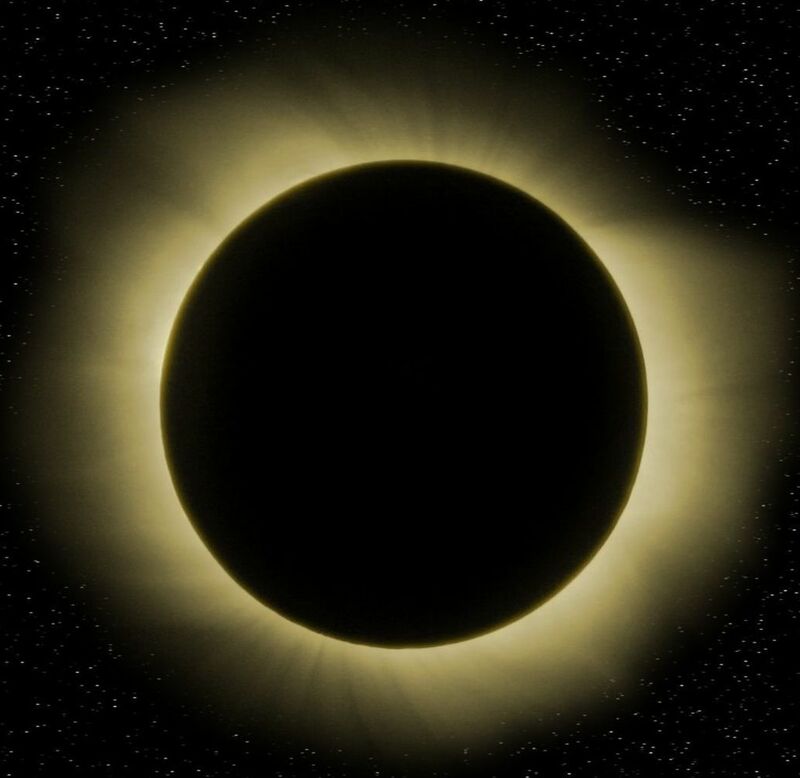 Chapter 6: Biblical Festivals And Equinoxes—Is there A Connection? Chapter 7: The Biblical “Feasts” of Hebrews 6! Chapter 8: “The First Day of The Week”: The Countdown to Pentecost! Chapter 9: When Are The 2019 Biblical Feasts and Festivals—Really? Chapter 12: Are the “Unsaved” Lost? Chapter 16: Will the Universe Be Destroyed? Chapter 18: New Jerusalem—A Place of Safety! Chapter 19: The “New Covenant”—Coming Soon! Chapter 23: Should We Move to Israel Now? Chapter 24: Will Satan Die? Chapter 27: Population Bomb Takes Out Millennium! Chapter 28: Who is the the Messiah’s Bride? Chapter 30: Do You Know Father’s (God’s) Name? Chapter 31: Constantine Wrote Matthew 28:19 Into Your Bible! Chapter 33: Our Father Demands Freedom of Speech! Chapter 34: Are Public Prayers in the Bible? Chapter 37: Which Laws are Everlasting? Chapter 40: What is the True “Gospel” —Really? Chapter 41: What is a Nazarene? Chapter 42: Should The “Church of God” (Congregation of Yehovah) Have A Statement Of Beliefs? Chapter 43: Does Father (God) Travel in Time? Chapter 1: Israel’s 7 Apocalyptic Days The Biblical Feast Days picture the last eight years of this present age, with particular emphasis on seven special days in “My Year of Redemption” (Isaiah 63:4)! The apostles never said that the Biblical Feasts were “dusty archives of events long forgotten”! Rather, they are prophetic signs of “things to come”! The modern Israelite nations have almost entirely lost the knowledge of not only their Israelite heritage, but also the truth that we were to have an “everlasting covenant” with Elohim (God). The Annual Days explain why it is that only the descendants of the twelve Israelite tribes will suffer the prophesied “Great Tribulation”. The penalty for not keeping our covenant will be inflicted upon Modern Israel by the hands of the people who we Israelites were commissioned to teach righteousness to! Chapter 2: Did Yeshua’s Supper (the “Lord’s Supper”) Replace the Passover? Did Yeshua abolish the Passover during His last supper before He suffered, or did He add tremendous additional solemnity to an already important historical ceremony? Had He intended to cause a single jot or tittle to pass from the Torah (Law) wouldn’t He have said so? The Messiah’s Supper is spiritual Preparation for the Passover! Tragically, most Christians “prepare” for various aberrations of the the Passover, but they don’t actually observe the Passover. Judaism, on the other hand, observes the Passover, but is not spiritually prepared! Chapter 3: “Messiah (Christ) Our Passover”? That Christians should celebrate the Passover should be common knowledge, yet that knowledge is quite rare, and of those with that understanding, most have been misled when it comes to the chronology. Even fewer consider what Passover is! When and how should we celebrate it? While translators and teachers bear much of the blame, anyone with a good lexicon simply does not have much of an excuse for following blind guides—provided the kadosh [holy] spirit fans the flames of their curiosity. Chapter 4: Pentecost (Shavuot) in Prophecy Was the primary purpose of the Day of Pentecost fulfilled on the day when the kadosh spirit breathed new life into the Assembly of Disciples that Yeshua promised would be rebuilt, or does Pentecost have more to do with events taking place “BEFORE the coming of the great and awesome DAY OF YEHOVAH [Jehovah]” This chapter elaborates on the prophesied events necessary to fulfill Pentecosts’ elusive symbolic significance. Chapter 5: Festivals and Feasts—There is a Difference! Anciently, it was crucial to attend these Feasts of Elohim (God): Unleavened Bread, Pentecost, and the Feast of Tabernacles. Are they relevant today? Should these three “feasts” still be “pilgrimage feasts”. Does Elohim expect us to keep these appointments? Should we observe the Feast of Unleavened Bread in the same manner as we do the Feast of Tabernacles—from beginning to end? What about those select “Annual Appointments” from Leviticus 23? Some of them fall on days within these three feasts of Elohim (God) What is the distinction between an “Assembly Day” and a “Feast Day”? What is required to celebrate a “Feast” of Elohim? Chapter 6: Biblical Feasts And Equinoxes—Is there A Connection? The Jews have never relied on equinoxes as factors in determining their New Years/Appointed Times, but the vast majority of pagan calendars are entirely based on them. So why do most of the “calendar groups” base their calendars on equinoxes? Did Elohim (God) express an “opinion” in the Scriptures on how we should determine His Appointments? This chapter explains the paradox. See why agriculture trumps mathematics. Chapter 7: The Biblical “Feasts” of Hebrews 6! Does the book of Hebrews, directed to a Jewish audience, use “encoded language” to tie the “preliminary principles of the Messiah” directly to Israel’s seven annual Appointments? This chapter explores the likelihood, using a familiar apostolic text, and concludes that the Annual Appointments actually epitomize the ultimate objectives of true kadishea (saints)! Chapter 8 “The First Day of The Week”: The Countdown to Pentecost! You are about to see that “the first Day of the week” is really all about counting Sabbaths to Pentecost! This is one issue that absolutely requires looking at a few Greek terms to discern the truth—due to “the traditions of men” influencing the translators. Slight of hand is exposed here. Who is doing the hiding, and what is their motive? Grab onto your lexicon. For some readers this will be a rough ride! Chapter 9: When Are The Biblical Feasts and Festivals—Really? I put off looking into this for over a quarter of a century after I said to myself: “I need to look into this”. Finally, I’ve discovered that Yehovah has a green calendar. No calculations are necessary! Hopefully you are faster. 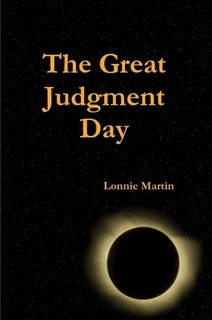 Chapter 10: Judgment Day—The Last Day Most Christians believe that Judgment Day occurs for you the moment that you die. But no Christian “has ascended into heaven” (John 3:13). A minority believes that Judgment Day occurs after “the millennium” for the “firstfruits” (Revelation 14:4), but these “ 144,000” are flesh and blood survivors of the Great Tribulation as are the Great Multitude! (Revelation 7:14). So when is Judgment Day? Chapter 11: “The Great and Awesome Day of Yehovah (the Lord)” (Joel 2:31) This is the most prevalent topic in the Scriptures. Nothing else comes close in terms of the sheer volume of Scripture devoted to it. Huge segments of the Major and Minor Prophets are devoted to it. In addition, most of Yeshua’s (Jesus’) parables directly pertain to this time and most of the book of Revelation is devoted to it. The emphasis that Yehovah (God) placed on this event, along with the sheer VOLUME of Scriptures, silently SCREAMS for understanding. Find out what this “Day” is all about now, before it’s too late—dont learn the hard way! Chapter 12: Are the “Unsaved” Lost? What will Abba do with all of the “good” people who have died, but didn’t know Yeshua (Jesus)? The Bible teaches us that there is going to be a Judgment Day. We almost innately believe that the wicked (whoever they are) will be separated from the good (presumably us). But can we know exactly who will be given eternal life, and when, and who will be cast into Gehenna, and why? The Biblical explanation for Judgment Day has been horribly misrepresented. You can be pretty certain where your “unconverted” friends and relatives will and up, and the verdict can be much different than you have been told—and much better! Chapter 13: What is “The Hour of Trial”? As explained in The Time After Jacob’s Trouble, Israel is the focal point of the Great Tribulation. The rest of the world will prosper under the supernatural power of the Beast, in part by thoroly pillaging the Israelite nations. After this, Elohim (God) will punish those people who were involved in the end time holocaust against the “twelve tribes” (now nations) of Israel. So what could this “Hour of Trial” be that affects the “whole world”—that is everyone who lives “on the earth”, at the same time? Chapter 15: Jubilee 2028 AD! Will Yeshua (Jesus) return during the next Jubilee year, fulfilling numerous symbolisms associated with the year of release? Yeshua presented a very unusual “mission statement” at the very beginning of His ministry. Immediately after the account of His baptism and the account of Satan tempting Him, is a reference to some of His first recorded words. These words have JUBILEE stamped all over them! This chapter provides multiple indications that the next Jubilee will literally shake the earth. The prophesied countdowns apparently all converge at that momentous point. Chapter 16: Will the Universe Be Destroyed? Many believe in a future “Big Bang Theory” concerning the physical universe, believing that it will be blown up after the “Last Day”, that they presume to be after the thousand years. But their Last Day is far different than the one in Daniel and Revelation. Where will you be during the Great Tribulation? A great many people assume that “the church” will be spared the anguish of the Great Tribulation by being “Raptured” into heaven. Others believe that “the church” will flea to a place of safety on earth, such as Petra in Jordan, but not stay in “a place” for the full 1,260 days, opting to spend a year in “the third heaven”. Others plan to be in a place on earth for the entire time. Some hope that the kadishea (saints) will be protected in their homes as the nations around them are being decimated. Consider the following Texts and ask yourself if a Place of Safety is to be “above” us. 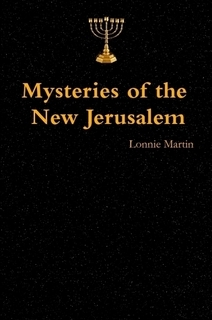 Read Mysteries of the New Jerusalem online free, or get my Ebook from Lulu, or buy the Paperback from Lulu. Chapter 18 Preview: New Jerusalem—A Place of Safety! Where will you be during the Great Tribulation? A great many people assume that “the church” will be spared the anguish of the Great Tribulation by being “raptured” into heaven. Others believe that “the church” will flea to “a place” of safety on earth, such as Petra in Jordan, but not stay in a place for the full 1,260 days, opting to spend a year in “the third heaven”. Others plan to be in a place on earth for the entire time. Some hope that the kadishea will be protected in their homes, as the nations around them are being decimated. I will mention the wilderness again later. Consider the following Biblical texts involved, and ask yourself if a Place of Safety is to be “above” us. Chapter 19: The “New Covenant”—Coming Soon! What is the “New Covenant”? Is the “New Covenant” already in effect, or are we under the “Old Covenant”. Who did Yehovah intend to make this Covenant (or contract) with? The knee jerk response to this question is easy, it’s the Church—but is it? Is it possible that Elohim (God) promised this Covenant to another group of people? There is a great deal of misinformation circulating among today’s churches concerning what this Covenant really is. There is only one chapter in the Hebrew Scriptures that specifically mentions the New Covenant, using this terminology. However, that single chapter, viewed as a curiosity or spiritualized away by almost all of Christianity, is the foundational prophecy that all of the references in the Testimony of Yeshua (the “New Testament”), concerning the topic, are based. Part 3 expounds on the 15 clues explaining exactly who the Great Multitude in Revelation 7 is. Chapter 20: The Seven “Churches” of Revelation Many opinions exist concerning what the “seven churches” of Revelation represent. Some claim that they represent seven “attitudes” present during the entire “Church Age”. Others claim that they are seven consecutive historic periods or “eras” of “God’s Church”. Does the internal evidence in the Book of Revelation, concerning these “seven churches”, support these interpretations? Could they actually be seven Assemblies of people comprising the entire Congregation of Elohim’s (God) people alive today? Was the Book of Revelation meant to be understood? I submit that understanding the nature of the “seven churches” will become a life and death matter during the coming years. Chapter 21: “A Famine of Hearing the Words of Yehovah (the Lord)” Many claim that a spiritual famine is coming. Some claim that it has been here for a while. Too many claim that they speak the words of ‘the Lord’ and that they provide a spiritual feast. In this regard “many who are first will be last; and the last first.” In this chapter we’ll check to see what the Prophet Amos had to say about the famine—when it would start, when it would end, and who is going to go hungry. Chapter 22: Ezekiel’s Warning to Israel & Judah & Gog & Magog The reality of Ezekiel’s warnings to the twelve nations of Israel (and Gog & Magog) will come as a complete shock to the millions of survivors of the Tribulation as they learn that the captivity and eventual escape from captivity of the millions of primarily English speaking people of the world is all recorded in extreme detail in their dust covered copies of the Scriptures that lie around as good luck charms. Our friends, those fortunate enough to survive will learn about these things when they are summonsed by Elohim (God) to the New Israel! Chapter 23: Should We Move to Israel Now? Many people, particularly among those who fellowship with a Messianic group (like me, because the one I attend actually tolerates me, and hasn’t thrown me out yet) are teaching that we should be preparing to move (or moving to) Israel right now, and that major and wonderful prophecies are happening in Israel, and that Ezekiel 37:15’s two sticks are coming together right now. What does the Bible have to say about the timing and exactly who should go, and under what circumstances? Chapter 24: Will Satan the Devil Die? Paul believed in “the King of Kings and Lord of Lords Who ALONE has immortality”. Is Satan immortal as well? God said to Satan: “You were the seal of perfection” and “You were in Eden”. He then proclaimed, in a way that only One knowing the end from the beginning could say: “I cast you to the ground” and “I destroyed you” and “I turned you into ashes upon the earth” and “you will cease to exist forever.” This chapter explains probably every Bible verse relevant to the topic. Chapter 25: “The Restoration of All Things” When is Yehovah (God) going to restore “all things”, and what exactly does the Bible mean by “all things”? The primary purpose for this chapter is to show that the time line for this event could be far sooner than many of you think! Chapter 26: The Mysterious Seventy “Weeks” of Daniel Among the most important Scriptural prophecies, the one usually referred to as the “Seventy Weeks Prophecy” stands out. It is the “chief cornerstone”, so to speak, of Messianic prophecies because it establishes the time line of both the (so called) First and Second Comings of the Messiah. In fact, it is the only pre “Messianic” text that calls the Messiah the “Messiah”; so technically, it is the only “Messianic” prophecy of old. The Daniel 9 prophecy is very specific. It pinpoints four exact “milestone” events, three of which were prophetic. For several centuries individuals have been able to approximate within a few years, the Messianic timetable. Some few have even been able to pinpoint the very years, but there is absolutely no consensus on how the details have been—and yes will be fulfilled. Chapter 27: Population Bomb Takes Out Millennium! This is an examination of a mathematical quandary associated with the idyllic, yet oversimplified, view of the “millennium”. Many assume that everyone will have large families in the Everlasting Kingdom. Especially knowing that there will be an absence of premature death from war and disease. What size of a population might we expect? Will utopian conditions precipitate some unexpected consequences? The numbers prove that an unknown factor is mandatory for everything to work out. Will colonization of space wait? 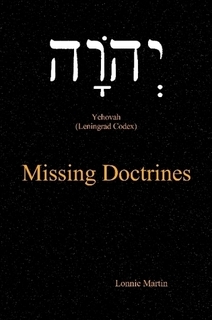 Volume Four: Missing Doctrines (being updated now) covers important doctrinal issues that have apparently been ignored for the last nearly 2,000 years. Many of the most precious truths of the Bible have been systematically replaced with pious sounding sectarian fables! Missing Doctrines deals with issues that are not controversial—simply because most people don’t know enough about them for a controversy to arise. I’d like for that to change. This series of books is essentially a topical Bible commentary that runs quite counter to the teachings of traditional Christianity, which has been veering off course since the mid first century. The objective is to unravel as many of Yehovah’s secrets as possible. The Bereans had the right approach. With unfurled scrolls they challenged the prevailing assumptions—if not for others, at least for themselves. Read Missing Doctrines online free, or get the Ebook from Lulu, or buy the Paperback from Lulu. I want to make a comment about my books. Quite a few key Bible quotes find themselves in several of the chapters of my books. There are two reasons for this. First, being key verses they can often be used to clarify diverse concepts. But more importantly, since few people read many chapters from my books online, (so far as I know) I want people to consider those key but often overlooked verses at least once in their life! Chapter 28: Who is the Messiah’s Bride? This really should not be an issue. It should be readily apparent who she is—yet few people know! You have probably always heard that the marriage supper is for the Messiah and His Church. Could Revelation 21 actually be referring to a marriage that is thoroly described in the Hebrew Scriptures? Is there a connection between this jubilant time and the restoration of Israel? The brides’ identity is missing! Chapter 29: “I and My Father are ONE” A controversy has raged for nearly two thousand years: “How can Yeshua (Jesus) be God” Many theories have been proposed over the centuries concerning the “nature” of Yeshua. These ideas are often at extreme variance with the Bible concerning His identity, and they are quite dangerous. Prophecy indicates that “heresy” (literally: sectarianism) would be an extreme problem. It is not just the cults that are a problem, tho they do provide very convenient “whipping boys” for more traditional deceivers. 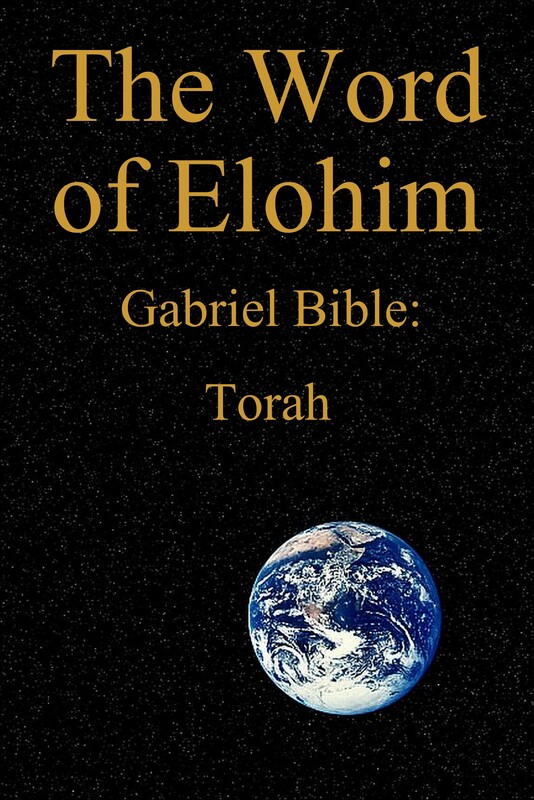 This sequel to “The Origin of Heresy” explains the “Nature of Elohim (God)” directly from the Bible, in a way that harmonizes the passages that may seem contradictory. Their nature is missing! Chapter 30: Do You Know Father’s Name? 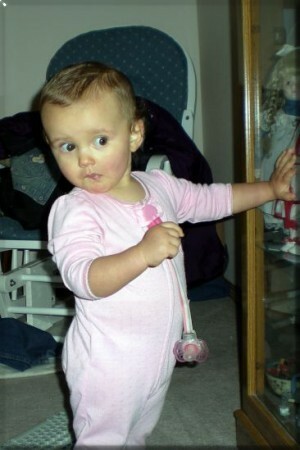 Have you ever had a close friend whose name you didn’t know? How about a friend whose name you couldn’t pronounce? If His name were Tutankhamen you might have somewhat of an excuse, but it is far simpler. While such a friend might overlook your ignorance, wouldn’t it at least be respectful of you to try to get it right? Fortunately, Elohim’s (God’s) real name is found in the oldest complete Hebrew Scriptures! So now you won’t necessarily have to use the generic term “God”, that can also apply to one of the many mythical gods. His name is missing! Chapter 31: Constantine Wrote Matthew 28:19 Into Your Bible! Were you baptized contrary to the Biblical teaching? A Roman Emperor insisted that Trinitarian wording be inserted into the Latin Vulgate Bible, as it was being written. This chapter explains how the fraudulent text crept into virtually every modern version of the Bible, and has even eluded being discovered by sects that do not teach that Elohim (God) is a Trinity. The question becomes: Does it matter whose name you were baptized into? The true baptismal formula is missing! Chapter 32: The Bible Never Mentions Sermons Quick! What was last week’s sermon about? Chances are you don’t remember, unless the speaker had gone from preachin’ to meddlin’. Were you asleep? We could revive the old “cattle prod” method of the Puritans, except that most people have learned to “sleep” with their eyes open! The Biblical approach to Sabbath Assemblies would keep you awake due to the dynamic participation! The masses (pun intended) have assumed that Elohim (God) wants a “one man show”, but the Bible provides a much different scenario. The Sabbath was set aside for a learning experience and “it is the point in time when we should awaken from our sleep [ignorance], because our eternal Life is nearer to us than when we first became believers.” (Romans 13:11). Interactivity is missing! Chapter 33: Our Father Demands Freedom of Speech! 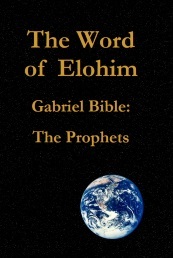 The prophets of Elohim (God) were murdered for boldly proclaiming the truths of Elohim. Yeshua (Jesus) was slain because He passionately spoke the words of His Father. Millions of martyrs have died rather than remain silent. Yet today, multitudes of people shackle themselves into darkened galleys (church) pews, repeatedly whispering the mantra: “ALL speak the same thing”. Yet lacking courage, FEW EVER “SPEAK”! In this small porthole in time—while freedom of speech prevails—why are so many people afraid to speak out in their own congregations, among their own friends, about their sincere personal convictions? When did apathy triumph over passion? Independent thought is missing and unwanted! Chapter 34: Are Public Prayers Biblical? Should we be praying in front of groups of other people, or was prayer primarily meant to be from your lips to His ears? I really don’t see a shred of Biblical evidence supporting the practice, but there is a prohibition! Chapter 35: Is Exclusivity “An Unpardonable Sin” Here is unmistakable Biblical proof that simply belonging to a “sect” is quite literally “heresy”! “Is Messiah Divided” into Sects? Yeshua’s (Jesus’) harshest words were undeniably those directed toward the most obsessive religious ideology of His generation—the exclusivist sects. Why does sectarian “doctrine” so often make people arrogant? Why are there so many sectarian “ministries” And what is more important—stroking the egos of a hierarchy, or their acquisition of wealth and power? Yeshua charged that these “hypocrites” greatly love public praise, but have absolutely no concern for the spiritual well being of anyone! Chapter 36: The Origin of Heresy This chapter briefly explains the common thread of ten “Christian heresies” as well as tracing the same teaching into other world religions. Most of the original heresies deal with the “nature” of Yeshua (Jesus). Even now these heresies are tainting the “Seven Churches”. Heresy free congregations are missing! Chapter 37: Which Laws are Everlasting? The vast majority of the 2.1 billion professing Christians in the world—33% of the world’s population—believe that Yeshua’s (Jesus’) death nailed the Torah [Law] to the cross. They “stake” their destiny on that presumption! Yet the very first question that every Believer in Yeshua should ask concerning their status as kadishea [saints] is: Precisely what does Elohim (God) require of me? How is a person to know which Scriptural laws are required of Christians. Should you simply pick a guru and believe whatever he tells you? How do you personally decide which laws to obey? Does it really matter? Is there a key to knowing which laws are permanent? Torah understanding is missing! Chapter 38: The Book of Life Why is it that the Bible never mentions someone having his or her name ADDED to The Book of Life? Why is it that the Bible only mentions people having their names BLOTTED OUT of that precious book? People assume that the Bible says: “Anyone who overcomes will be clothed in white garments, and I will ADD their name to the Book of Life”! This chapter makes the arguments about “predestination” irrelevant since we can know that Elohim (God) has predestined each of us to be winners in the “game of life”—so long as we play by six simple rules! Part 2 (same link) goes beyond just having your name recorded in heaven. It covers what is required to actually be present in the coming Everlasting Kingdom. Chapter 39: Seven Things That Elohim (God) Loves A careful study of the things that Elohim hates will also reveal the things that He loves! The closer a person comes to hating the things that Elohim hates, the closer your mind is to becoming like His! Righteousness and wickedness are exact opposites—as far apart as the east is from the west. Love is missing! Chapter 40: What is the True “Gospel”—Really? Is the gospel message strictly the announcement that Elohim (God) is going to set up His earthly kingdom? Yeshua (Jesus) commissioned His followers to herald the gospel, so it is imperative that we understand exactly what it is! Also, if the Assembly (Church) must reach the whole world before the “end”, then why did Yeshua say that ... “I tell you with certainly that you won’t have finished your mission in the cities of the house of Israel, before the Son of Man appears in public” (Matthew 10:23). Is this a contradiction? Has “the Church” missed it’s mission? Could “the Good News (gospel) of Messiah” concern “eternal Life for everyone who believes in Him?” (Romans 1:16) This chapter primarily debunks some highly exclusivist misconceptions still being promoted by scores of splinter groups spun off of the Worldwide Church of God. The true gospel is missing (yet it is prophesied to return). Chapter 41: What is a Nazarene? What is a Christian? A few years after Yeshua (Jesus) was crucified, people of non Israelite heritage began to accept the teachings of Yeshua, but they soon separated themselves into a separate camp, so there were “Nazarenes” and “Christians”. Both terms are found in the Bible. The name Christianos (khris-tee-an-os’) “Christian” (Strong’s 5546) was coined by the enemies of the non Hebrew believers in the so-called “Gentile” regions. “Nazarenes” is what the Hebrew (Jewish) believers were called by their enemies. Chapter 42: Should the ‘Church of God’ (Congregation of Yehovah) Have a Statement of Beliefs? Should your local Assembly or Congregation of Yehovah’s people mandate doctrinal requirements beyond the Ten Commandments? To do so would turn that Assembly into a Church! Yet The Church Is Not In God’s Plan). I recommend that you preferably don’t go to Church but rather consider The Anatomy of a Church ), and if there is an Assembly of kadishea (saints) within driving distance—under Elohim (God) and not under hierarchy—congregate there! Chapter 43: Does Father Travel in Time? If Yehovah “travels in time” then certain occurrences within the Bible become easier for us, with our limited knowledge, to comprehend. If you believe that Albert Einstein’s theory of relativity essentially proves that “time travel” is possible, then you would not be surprised if it were to have a bearing on both history and prophecy. If you believe that Einstein was wrong, and that even Elohim (God) cannot traverse time, then please go on to another chapter. This chapter was written from the premise that the Creator of time has complete mastery of it, so if Einstein miscalculated—well then blame this chapter on him. Nothing else in my book is dependent on time travel. 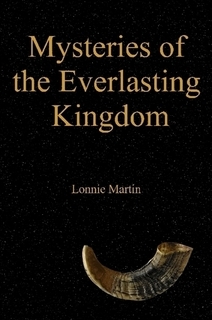 Lonnie Martin’s work is licensed under a Attribution-NoDerivs 3.0 Unported License. While everyone is talking about a nuke hitting Damascus that totally removes every trace of it, THIS explanation is vastly more complex, intriguing and shocking! Agnostic David Berlinski on Evolution and its problems (4+ minutes); Berlinski Drops Bombs (30 minutes). Is Eating White Sugar a Sin? The Real Story of Thanksgiving—Why I Won’t Be Celebrating It. Glenn Beck: Why do I care about the Middle East?